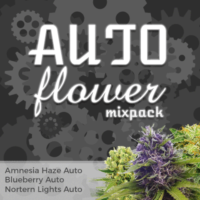 Fast flowering Amnesia Haze Autoflower seeds, the Amsterdam classic in autoflowering form, produces all the traits and characteristics of the original Amnesia Haze seeds, but is a lot faster to mature without the need for a strict lighting regime. 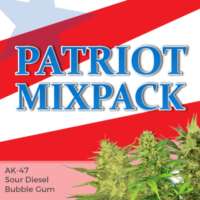 Compact and easy to grow, these auto seeds are ideal for the beginner and more experienced alike, and can be grown both indoors and outside.Unlike feminized Amnesia Haze seeds, the vegetative stage when most of the plants growth occurs, cannot be controlled to prolong the plants life or increase the overall yield. The best way to grow Auto seeds is to germinate and sprout the seeds indoors, ensuring they receive as much good quality light, for as many hours as possible during the first few weeks of their lives.The plants remain short and compact with close branching. 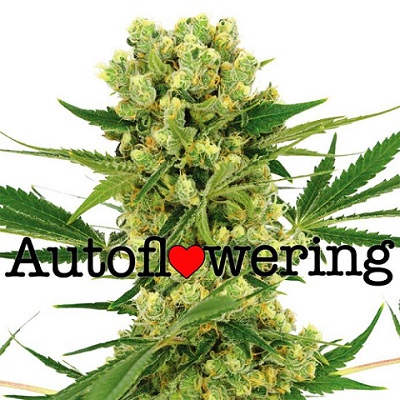 Flowering begins automatically after the third set of true leaves, and the buds will require a further 58 days to completely grow and fully mature with yields of approximately 210 grams per square meter. The Amnesia Haze high is mostly in the head. 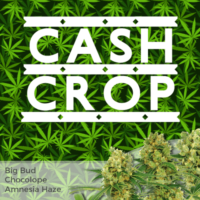 It has a flowery and hazy smoke and it is ideal for a strong yet mellow high.The Amnesia Haze effects are clearly noticeable after approximately 10 – 15 minutes, producing a clear, uplifting, social and cerebral feeling, although it doesn’t last long. You can buy Amnesia haze auto seeds from I Love Growing Marijuana seedbank, available in packs of 5, 10 and 20 feminized seeds, all guaranteed by Robert Bergman himself. The Sativa dominant genetics produce an uplifting, energetic buzz, that’s sociable and euphoric allowing the user to enjoy the high without interrupting their daily routines. 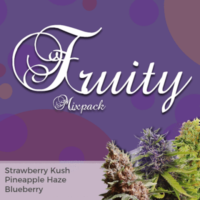 A perfect day-time smoke with flavours of citrus and lemon without that lethargic, lazy feeling.